Moon Shot From JPMorgan's Dimon Is Day's Money Quote : The Two-Way The bank lost $2 billion — and counting — on some risky bets. But could it ever lose $1 trillion? Only if there's a celestial catastrophe, its CEO quipped today. JPMorgan Chase CEO Jamie Dimon during testimony today before the House Financial Services Committee. The top news from Capitol Hill testimony today by JPMorgan Chase CEO Jamie Dimon is that he says "the bank did its best to fully inform investors about its risk strategy several weeks before it suffered a $2 billion-plus trading loss," The Associated Press reports. But the quote from him that seems to be getting the most attention came in response to a question from Rep. Sean Duffy, R-Wis., who wanted to know if the bank could ever lose "a half a trillion dollars or a trillion dollars?" "Not unless this earth is hit by a moon," Dimon quipped. -- JPMorgan Execs Who Bungled Billions May Have To Return Bonuses, Stock. 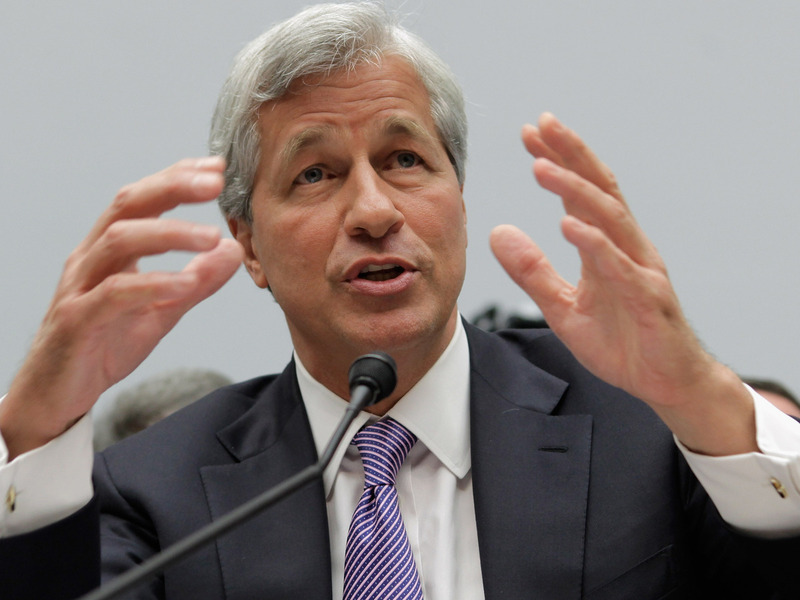 -- Dimon Will Tell Congress JPMorgan 'Let People Down' With Trading Loss. -- JPMorgan Knew Of Risks, 'WSJ' Reports. -- As Feared, JPMorgan's Losses Are Growing; Reportedly At $3 Billion.